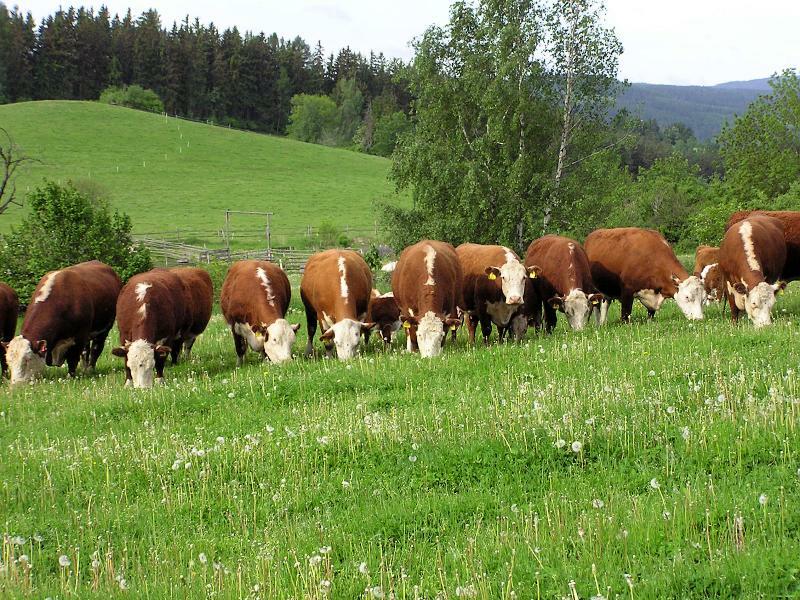 You can find our stables on foothills of Šumava mountains. We were engaged in breeding of Akhalteke horses till 2002. We bought our first partbred Akhalteke mare Everda from the studfarm Chrastava. Then we bought mare Mathan in august 2002 from studfarm Chrastava too. 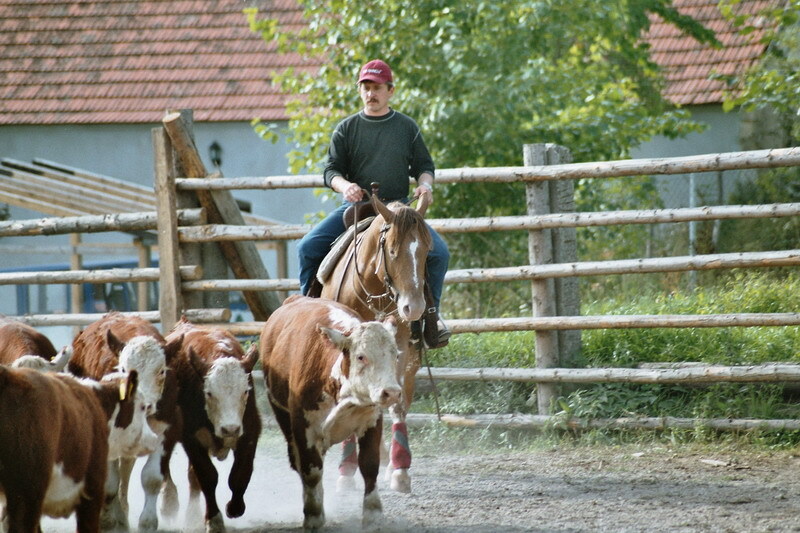 We bought our another mare Alsanta in springtime from studfarm of Mrs. Jelena Novotna from Mariánské Lázně. 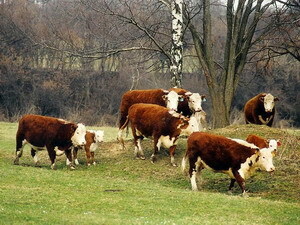 We are engaged in breeding of the beef-cattle of Hereford breed till 1991. 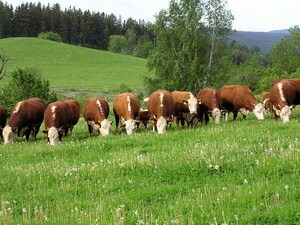 Their main qualities are excelent grazing ability, magnificent mathernity, fertility and unrivalled quality of meat. 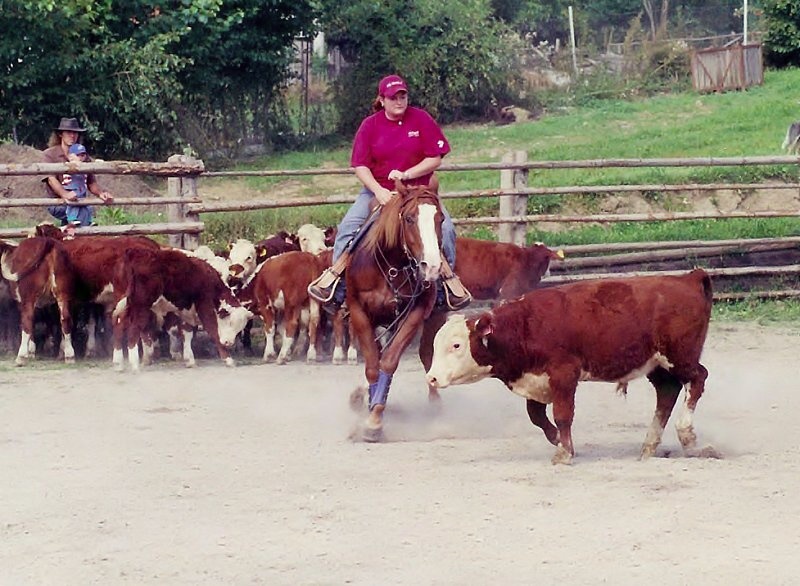 Our another activity is to arrange various sport activities with the focus on the western riding. 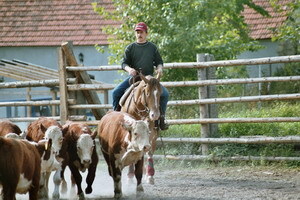 We attend to western disciplines till 1995 and we arrange the riding courses too.